Hello loves! 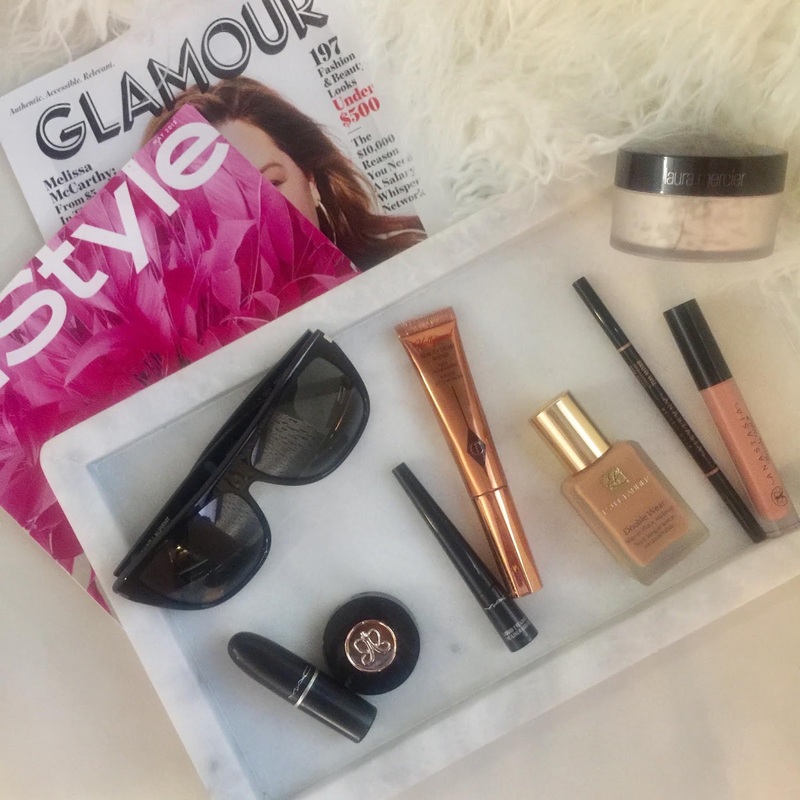 Today I am sharing all of my make-up must haves. These are the products I use every single day and can't go without! The most important part is starting off with a great foundation. This foundation is my absolute favorite! I've tried many others, even some much more pricey, and this Estee Lauder Double Wear is by far the best! For every day wear I use one coat, but on days I want a little more coverage I add another layer! I wear 3N1 Ivory Beige. Next I apply this highlighter under my eyes and along my upper cheek bone. So good for covering any darkness and brightening under the eye! My favorite setting powder is this one by Laura Mercier in Translucent. Great for keeping my make-up on all day long. My must have liquid liner by Mac in Boot Black, super easy to apply! I have a couple different brow products that I use depending on how I feel, but all from Anastasia! She has the BEST brow products. My go-to is this Brow Powder Duo in Ash Brown. I use the angled brush from this Brow Kit. I also love to use this Brow Wiz in Dark Brown. These are the products I use for my everyday lip. I first line with this Mac Lip Pencil in Whirl. Next, I use this lipstick in Snob. Last I like to apply a little of this lip gloss in Butterscotch. I don't use much for mascara at the moment because I have false lashes but this one by Mac is my favorite, False Lashes in Extreme Black. All of these products can be found online at Nordstrom. Hope you enjoy! Be sure to comment below if you have questions about any of these products!